2009 will be ending intensively. It’s amazing how things can hover under the radar screen and then jump out at us with hardly any warning, and so it goes astrologically. The last ten days of 2009 are marked by a string of significant and harsh planetary configurations, get yourself set for a series of growth-inducing and paradigm-challenging situations at end of year. The image at right is a portion of the raw transit data that I use to write SWN prediction articles (formerly called Astro-Success). All of the challenging configurations are highlighted in yellow. You can see there is not a single day duing the last days of 2009 that is “quiet”. Christmas looks particularly strident with the Sun, Mars, Saturn, and Pluto making aspects, These days will not necessarily be “awful” entirely, but there could be a few stinky moments around Christmas. Don’t be too surprised at the level of hustle and bustle experienced, possible turbulence in the elements and their repercussions, and maybe a little human exasperation felt now and then. It’s all good, like they say. Let the end of 2009 become an accelerated exercise in seeking adjustment and undiluted spiritual peace in every situation, because you may have to try really hard to retain it at various times. The ego takes it pretty hard during times like these; as well it should because it is the source of most pain and suffering in our lives anyway. Don’t shame or blame anyone or anything, understand and realize that you are fully accountable for everything that goes awry in your life. You have come face to face with karmic forces you set in motion in the past. Strive to see exactly how your little, petty, and conniving ego is desperately trying to vindicate itself in this challenging situation. Just let it all go, no matter what it is. Let spiritual peace and equilibrium assert itself, which it will even if it takes a few minutes. Understand the action of, and give permission for invisible spiritual forces to enter in and resolve the situation; trust that they will do their job magnificently. Pray for help. Strive to discern what your highest intuition directs you to do in this situation. Do it and don’t look back. Congratulations you have just made a tremendous personal breakthrough; you’ve learned how to handle negative astrology! The official start to this challenging period I am citing here is on Sunday, December 20, 2009, when Mars turns retrograde in the sky in close hard aspect to Saturn and Pluto; and then the astro-fireworks begin right through the first days of January 2010. There will be hardly any “quiet” days in that span. One of the significant events this week will be the conjunction of Jupiter and Neptune. Jupiter’s expansive and amplifying qualities act on Neptune’s ability to transcend human boundaries of mind and being able to dissolve a sense of separation. Neptune also adds validity to Jupiter’s eternal quest for God and Truth, giving not so much knowledge but feeling and a more intuitive understainding. 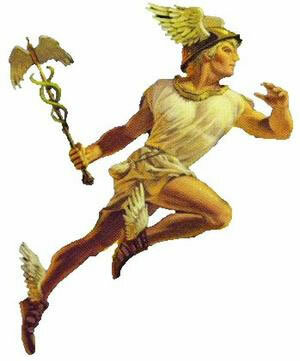 The asteriod Chiron is also involved, a point which does not speak to me very well personally; but as the immortal wounded healer it could help bring about themes of sacrifice, surrender and strengh through apparent weakness.